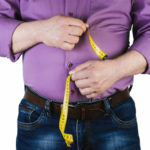 If you notice changes such as constant stress, fatigue, and even weight gain despite not modifying your diet or workout regimen, it may have something to do with your cortisol levels. Often, high cortisol levels can produce these negative manifestations. This isn’t surprising considering the ubiquity of stressors this modern world has to offer. In fact, every little thing around us becomes a stressor, which is why stress is part of people’s daily lives. Cortisol is frequently referred to as the main stress hormone due to the fact that it’s one of the primary hormones the body secretes when it is “threatened” and the physiological fight or flight response activates. While there’s a negative connotation as to what the cortisol does to the body like leading to acne, weight gain, and high blood pressure, it’s actually more than that. Its functions go beyond stress response and the negative effects. In reality, we need cortisol for means of survival. Basically, cortisol is needed to help people remain motivated, alert, and receptive to the environment. However, sustaining unusually high cortisol levels can become detrimental and contribute to chronic medical predicaments. 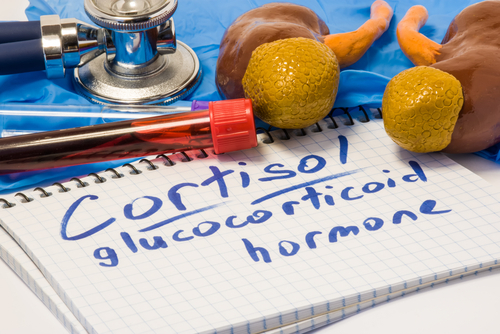 There are two largest contributors to high cortisol levels – corticosteroids and chronic stress. When the body produces a significant amount of cortisol, it could lead to health problems, including anxiety, insomnia, hormonal imbalances, concerns with fertility, and weight gain, among other medical issues. It is important to manage glucose levels properly because unmanaged blood sugar levels contribute to high cortisol levels. Inflammation is another key contributor, which is why concentrating on eating an anti-inflammatory diet is vital. This means you need to eat more foods high in antioxidants, fiber, and other essential vitamins and minerals. Minimize, or if possible, eliminate processed foods from your diet. Sticking to a healthy diet is key to stabilizing hormones and suppressing your cravings. These methods can also promote adrenal support, enabling you to achieve and sustain a healthy weight, increasing energy levels during the day, and improving the quality of your sleep. Chronic stress contributes to all kinds of health issues, which is why it’s important to learn how to lessen and manage stress on your own. Stress definitely has an impact on health by sending chemical signals throughout the body, which includes the heart and blood vessels, brain, immune system, digestive system, and so on. Thus, stress is capable of generating physiological changes. For instance, it can heighten your breathing, heart rate, pain and muscle soreness, appetite, and sleeping issues. You can’t just accept stress as the way it is. You need to be proactive about managing how stress affects your body and overall well-being. The good news is that there are things you can do to lessen and manage stress effectively. This includes practicing meditation, breathing techniques, acupuncture, and engaging in outdoor activities or just simply spending time with nature. Numerous studies find that regular exercise that lasts 30-60 minutes most days every week is still one of the most efficient ways to deal with stress, stabilize hormones, improve sleep and help with normal metabolic capacities. As long as you don’t work out excessively, physical activity is crucial for reducing stress and improving your overall health and wellness. Overtraining or exercising beyond your physical capacities can actually result in more cortisol being released. Working out is great for the hormone levels because even though it momentarily boosts the generation of adrenaline and cortisol, it generally aids in bringing cortisol levels back down to their normal levels after that. This cycle is beneficial as it helps your body manage stress more efficiently, which provides your autonomic nervous system its very own exercise. So, the next time your stress hormones suddenly increase due to a seemingly-incoming peril, you should be able to reduce cortisol levels with more ease because your body has gotten used to it during exercise. Adaptogen herbs aid in naturally reducing high cortisol levels in many essential ways. For one, they help stabilize hormones. They also decrease inflammation thanks to their potent antioxidant, antiviral, and antibacterial properties. Adaptogens also have natural antidepressant characteristics, which is why they can be helpful when it comes to soothing your troubled self. Moreover, these particular herbs can reduce exhaustion and help stabilize blood pressure. Some examples of adaptogens are ginseng, cocoa, licorice root, and holy basil, to name a few. 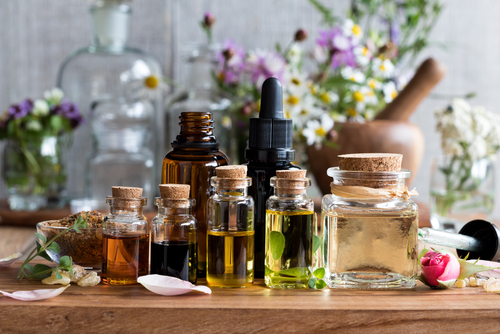 In resemblance to how adaptogens function, essential oils are also useful for combating stress and normalizing hormones. Essential oils such as lavender and bergamot have active components that have been demonstrated to reduce cortisol levels, decrease inflammation, and strengthen immunity naturally. Certain essential oils can also help with boosting digestive functions and improving sleep. Sleeping well and enough helps regulate the production of cortisol, though sleeping is a challenge with high cortisol levels. 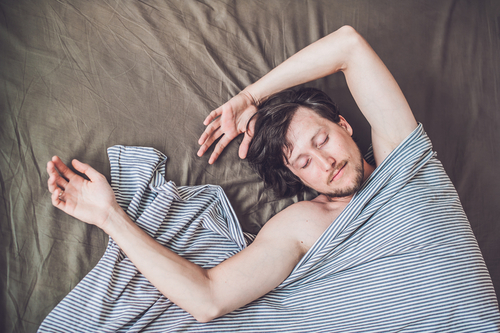 Normally, cortisol levels rise in the morning when you wake up and plummet at night before bedtime and during sleep. On the other hand, those who develop high cortisol levels can end up feeling otherwise. They’re hyper and restless at night, but then exhausted during the day. Hence, their quality of sleep is compromised because they can’t sleep during the times that they have to. The cycle goes on and aggravates the body’s already high cortisol levels.